There is something about Asian food that is so comforting…like comfort food. Seriously. Asian food is the kind you can indulge in and not feel guilty at all(…well almost).I have had a privilege, in this short life of me, of tasting different Asian dishes and i can testify that they are worth trying. What captures me the most are the flavours– the sweet, the spicy , the hot , the sour, the sweet and spicy and the way they are prepared. The rich culture behind every dish and the ingredients used. The magic is also in the people behind every dish that is prepared with skill, vigour, love and celebration of culture. I came across this site (thank goodness for the internet!) and all memories flooded back. I remembered the instant noodles that helped us survive high school and impromptu hungers! The bihon, the kimchi(if you tolerate hot food, it’s quite tasty! ), the tapuki, the gadogado, the chicken adobo, the curried egg, the noodles, the sushi(yep real raw sushi..ate it once and it was nice), and all the coconut treats. I could go on and on. Point is Asian food is amazing, homey comforting fulfilling and yet still artistic. I have been fascinated by food ever since I was little(does that make me a foodie?) and my goal is to at least taste food from every country with God’s grace and discovering Indochine Kitchen has made it easier to achieve this. That means I will be trying out new recipes. Yey! Hi Sophie, this is my first time to stop by your blog! I love your logo and of course…. 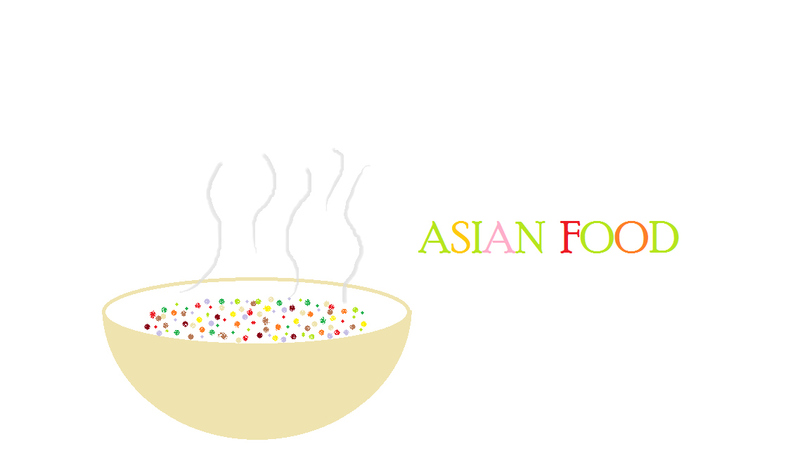 this lovely post on “Asian food,”, you make me blush! I am so glad you stopped by and thanks for the sweet comments! I concur! Maybe it’s because I’m Asian. =) My favorites are: pho, panang curry, dumplings, ahi poke, and sushi of course! Awesome! I think Asians are cool! Seriously.